Using Rope Physics to Simulate Cabling a Data Center in VR — We haven’t yet verified if this is true, but apparently this VR simulation of data center cabling is being developed to help people practice for Cisco certifications. Whatever it is, it looks neat. 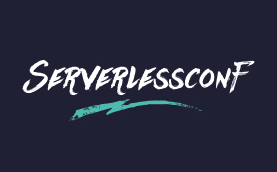 Meet the Leaders in Serverless Technology July 29 - Aug. 1 — Serverlessconf is A Cloud Guru’s community-led conference devoted to Serverless technologies. Join us in San Francisco for a July 29th “Serverless Startup” Hackathon, a day of Workshops on the 30th, and our two-day, two-track Conference 7/31 - 8/1. Goodbye Microservices: From 100s of Problem Children to 1 Superstar — Segment is a popular service for collecting and passing data between multiple services, but they ended up struggling with microservices and had to take a different approach. Here’s their story. Kotlin on the Server at Khan Academy — Adding another language to a codebase is no small feat, but Khan Academy has found the performance gains of Kotlin, a JVM-based multiplatform language, are more than worth it. Amazon RDS Performance Insights Now Generally Available — Performance Insights makes it easy to view the load on an Amazon RDS database and lets you identify bottlenecks and discover what to do when performance problems arise. Introducing Chaos Engineering into DevOps Practices — Chaos engineering is the process of simulating random and chaotic failures in a system to see how robust it is. How to Drop 10 Million Packets Per Second — “Being able to quickly discard packets is very important to withstand DDoS attacks” and this is how Cloudflare approaches doing it. Observability Tips with the HAProxy Load Balancer — From the creator of HAProxy himself. Service Mesh and the Promise of Istio — Service meshes abstract away common issues like routing, retries, load balancing, and even auth from underlying apps. ▶ The Evolution of Telemetry at Bloomberg — Stig Sorensen and Sean Hanson describe Bloomberg’s winding, and ongoing journey to achieve the robust telemetry they have now. AWS Fargate: The Beginning of the End for Infrastructure Management — Can AWS Fargate help reduce the costs and complexities of dealing with container management? Introducing Jib: Build Java Docker Images Better — Jib is a new, open-source Java ‘containerizer’ from Google that handles all the steps of packaging your Java app into a container image. Oathkeeper: A Cloud Native Identity & Access Proxy (IAP) — ..which authenticates and authorizes incoming HTTP requests. Written in Go.